With the global clamor to strive for less to zero waste products, the construction industry has gone the environmental-friendly way. Many environmentalists fight against the excessive use and abuse of the lumber and wood industry. Hence, the latest update in trends, the use of recycled timber flooring. This article outlines the advantages of using reclaimed timber flooring instead of hardwood. One of the most apparent advantages of using recycled timber flooring is that you are contributing positively to the earth by being more environment-friendly. It is a no-brainer that wood comes from trees, and this leads to over-deforestation. Trees are growing lesser and lesser because of the increase in demand for more wood products. When you use recycled and old wood, you prevent the need to cut more and more trees. Wood always adds value to a house. However, hardwood is very expensive. Using hardwood can increase construction costs. For others too, hardwood is merely an option they cannot afford. When you choose to use recycled timber, you are paying a fraction of the price that you would usually pay for purchasing brand-new wood. There is no denying it: wood finish or wooden textures increases a home’s aesthetic value. When you choose to use recycled timber for your home, you get to enjoy wood that has been around for many years already. 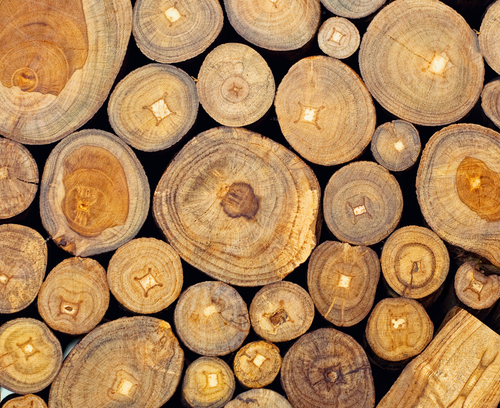 These timber sources have so much more growth than brand-new wood. As trees grow, its rings also become more full. This widening of the rings makes the wood look more beautiful. Plus, the older the wood, the more natural markings it can accumulate over time. When placed in a house, it is like owning a piece of history that you can preserve, with its own story to tell. If you choose to use and recycle wood, the need to cut down trees for brand-new timber also dies down. Recycled timber refers to the wood that was previously used in old or run-down houses and buildings, which can be re-used later on for other homes. The tree source of these wood types are usually the older and stronger options because these trees are not grown solely for harvesting lumber. Expert realtors have also found that there is a certain charm and beauty to these old, recycled timber that is not found in newer trees. These older trees were usually the conventional sources of wood many years back before illegal logging measures were set in place. In the past, people had easier access to sturdier and better trees compared to the common trees used today for lumber sources. 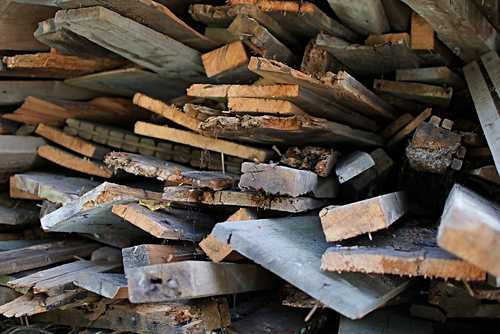 Reclaimed wood from older homes may not come from tree farms. This wood will come from sturdier trees that were sometimes even just a part of their property, giving you a higher quality product. These trees have more room to grow and have reached their full growth and potential in comparison to wood found in lumber yards. The result, therefore, is that these pieces of wood have a wider width. Newer and more modern homes that source out brand-new wood from timber farms will notice that the opposite of the above mentioned scenario is the case. Wood nowadays are narrower because they are farmed for business, and have not reached their full growth. Recycled timber is sourced from wood that has been around for many years. It has been tried and tested by extreme weather conditions, and has been given a chance to naturally dry out by itself for many years. Remember with wood, it is important to completely dry out its moisture, as moisture can weaken the quality of wood products. With brand-new wood, because they have to be processed and sold fast, they are dried up in an unnatural process, where the wood is placed in a drying kiln to remove any excess moisture. This type of drying cannot compete against the natural way of drying up for many years already. Recycled timber is now one of the options available for homeowners who dream of their house to be laden with hardwood. Not only do they feel nice, but they also add a sense of elegance and coziness to a home. Hardwood, however, can tend to be very expensive. Hence, the option of using recycled timber or wood can sometimes outweigh buying of new ones.